Hey, there, fellow beach lover! 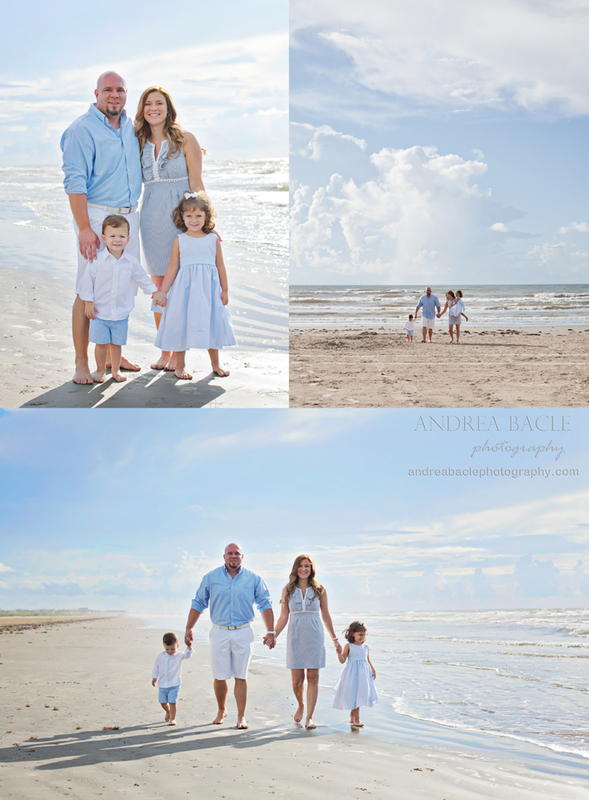 Chances are, if you’ve found your way to this post, you’ve asked me about a beach family session in Galveston. 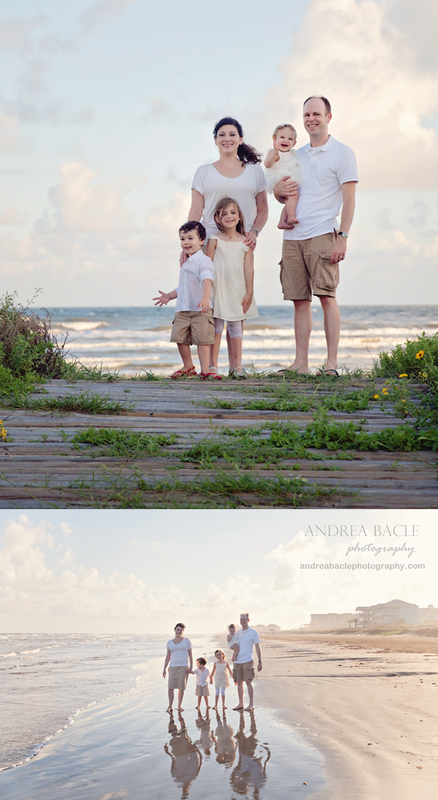 And, aha!, good news for everyone, I’m now advertising Pensacola Beach family sessions, as well. I’ve convinced all airlines to let me ride inside the little drink carts for free on their daily Houston-to-Pensacola Beach routes. So, do you need ideas for poses? What to wear? What time of day to do the shoot? What would look best on your walls? 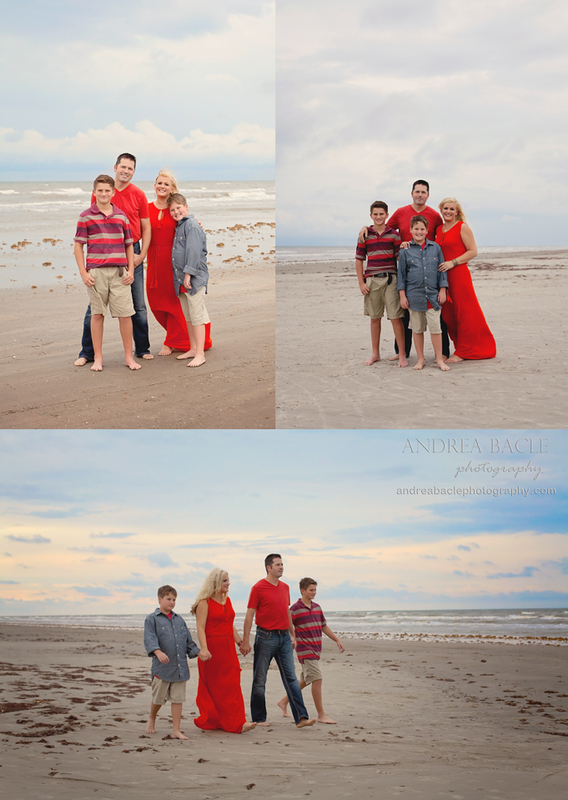 Here are some fabulous examples from my oh-so-groovy favorite beach clients. Classic white and khaki from a classy family (an hour before sunset): Too stinkin’ cute for words in their matching blue gingham (and still the winners for my all-time favorite sibling pic; around 10am): It’s all about the dress for the insanely gorgeous momma of this handsome family. Ok, I might be a little biased, because she’s my sister-in-law, but no, I don’t think I am (2 hours before sunset on an overcast day). 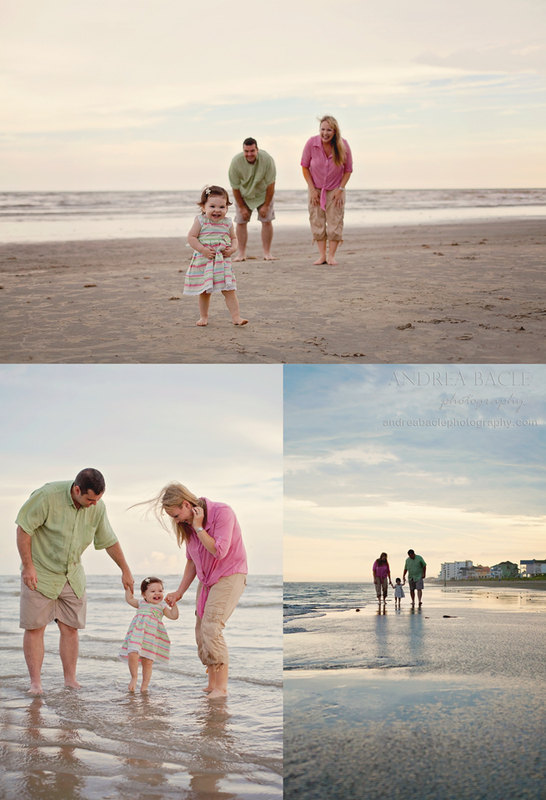 Finally, this is most like what I would put my own family in for pictures: coordinated, but not too matchy. Ok, who am I kidding? It’s probably a minor miracle that I get us all out there with clothes on. Here are what Daddy and babies were wearing for our pics, and here’s the final picture hanging on the wall. I wanted the sky color to coordinate with our wall color, so we had to wait until after the sun went down. (These were taken at sunset and a few minutes after). I love the jewel tones on this family (of four now! )–perfect for the high contrast sun of midday. Families, what are you waiting for? You know you need a little sand in between your toes and in your shorts! Call me for a session. Photographers, if you need any ideas or have questions about times and locations, give me a call. I’ll see you on the beach!